Love puzzles? Why not try out these Smart Eggs? 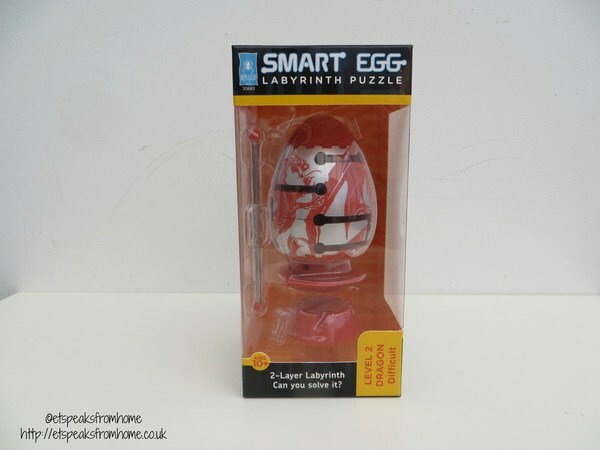 They are a new puzzle, akin to Rubik’s Cubes in that they require careful, logical consideration to complete; the goal is to guide a wand through a labyrinth in the Egg, from the top and out through the bottom. This is suitable for children aged 6 years and over and comes in a variety of difficulties, which can take up to three hours to solve. They come in 1-layer and 2-layer labyrinths. I have received the 2-layer labyrinth Level 2 Dragon Smart Eggs which is the difficult level. This is a very challenging, dual-layered Smart Egg. This is for aged 10 onwards. It has a second labyrinth which must be pulled out and rotated in order to complete. This has kept us all entertained for a long time. Its retail at £11.99 from Waterstones. Inside this box, it comes with the Smart Egg, wand and an egg holder. It requires you to solve both labyrinths at the same time and it took me a long time to solve it! It is very challenging and I love the size and shape of the egg. It is so easy to hold and move while on the move. To see more about the Smart Eggs, check out my vlog here! 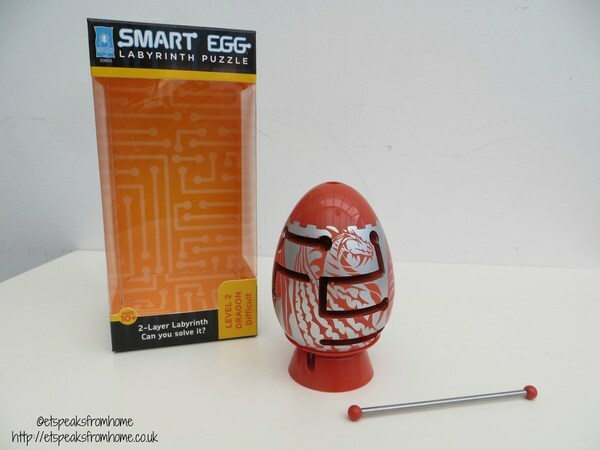 Now Esdevium Games is giving this Smart Eggs worth £11.99 to one of my followers! So good luck and enter through Gleam! Also, remember to check out the rest of my giveaways! Competition starts on 30/08/2015 12 am – 30/09/2015 11.59pm.